We will be processing new online orders today and replying to emails. Today we feature one of our black ink cards which is style D224. 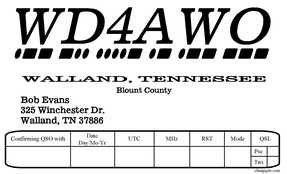 A very popular QSL among the CW operators. Finished up our last printing for the week this morning. Sue is packaging those for shipment today. New online orders being emailed their proofs to review. Our next printing will be on Sunday for shipment Monday due to some appointments we have Tuesday which will take us away from the office. 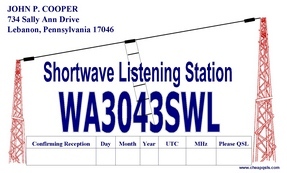 QSL of the day is Style DC206 which was reordered by Martin, W4PNY this week. Emailing proofs for overnight orders this morning. We will also start printing all approved card layouts for shipment on Friday. 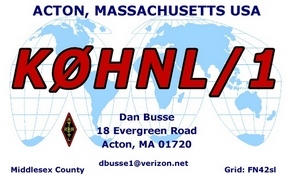 Our featured QSL of the day belongs to Dan KØHNL/1 who selected Style DC-211 and the glossy cardstock option for his QSL. We will be processing new online orders today and email proofs. 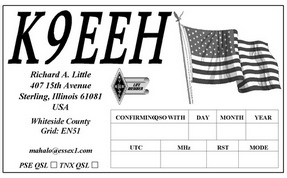 Last chance to enter our April Free QSL drawing to win 100 QSLs. Beginning our printing early this morning for all approved emailed proofs. Overnight orders will have their card layout proofs sent around 0800 PDST. 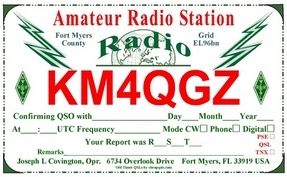 Our featured QSL today is our Style D205 which we have offered for many years on our website. It continues to be a very popular mid range priced card. Catching up on emails this morning and we will be processing new online orders this morning. Responding to emails and processing new online orders today. Finished up printing in the wee hours this morning. Sue will be shipping all printed orders today. Our next printing will begin on Monday 4/25 for shipment on Wednesday. New online orders will be emailed proofs today. Our office phone is available until 12 noon PDST on Fridays. Email is always the best way to reach us ! We monitor email even from home when our office is closed. 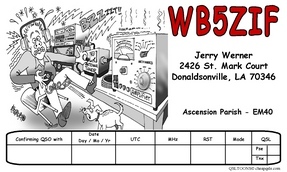 Our featured QSLs today belongs to Dave, WB9JDI. 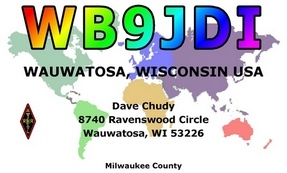 Dave’s QSLs are shipping today. Processing new online orders through out the day. 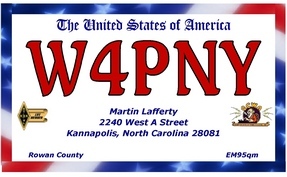 We will print all approved emailed proofs later today for shipment on Friday.